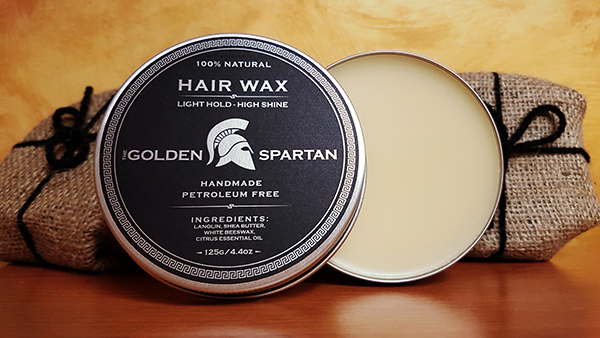 The Golden Spartan Hair Wax is 100% natural. We do not use petroleum or any other synthetic materials. 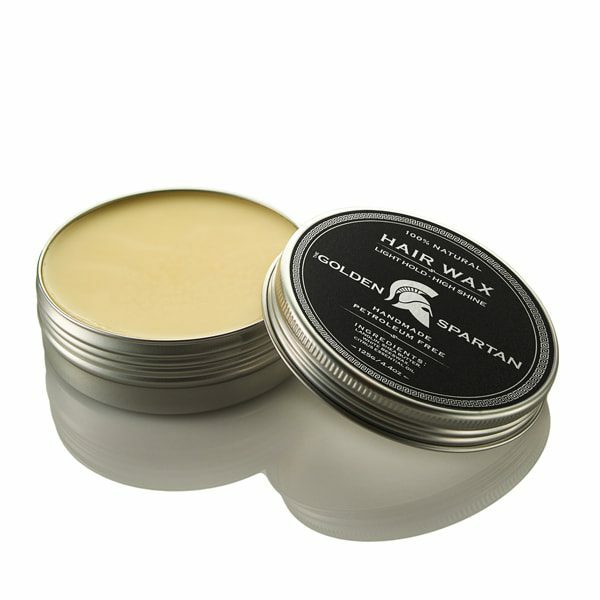 Our Hair Wax is not a heavy-duty mohawk pomade, it has a light hold, high shine which makes it a natural style helper. As an added bonus, it smells fantastic too. It doesn’t harden your hair, dry it or grease it up. You can restyle throughout the day. 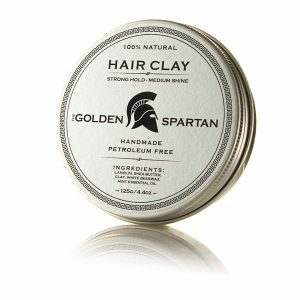 It's easy to use, absorbs quickly, hydrates your hair and is washed out easily. 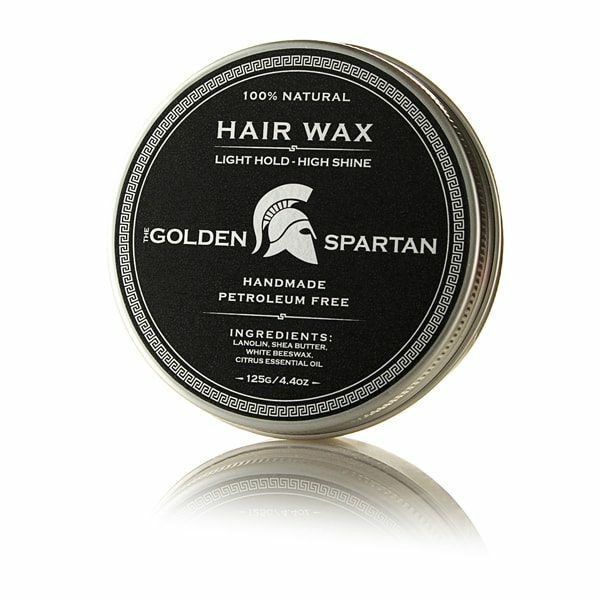 How to apply: With the back of your thumb, scoop a small amount of our Hair Wax. Do not use too much, it is always better to add more if necessary. Rub and warm up the Hair Wax between your palms before working into the hair. 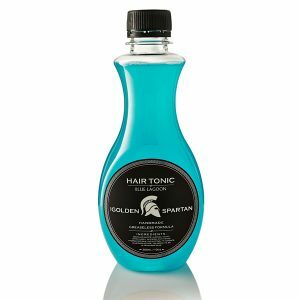 Distribute evenly through towel dried or blow dried hair and comb into place. Reapply more product if desired. Ingredients: Lanolin, shea butter, white beeswax, citrus essential oil. Note: Our products are clinically tested in a certified laboratory and possess health safety certificates.